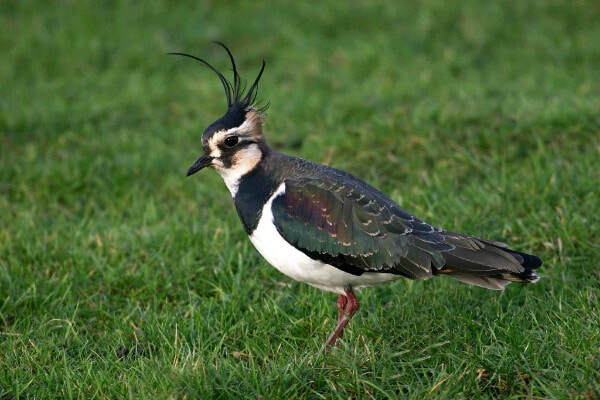 Our iconic grassland-breeding waders face a set of common threats throughout much of Europe. The loss or deterioration of breeding habitat through changing agricultural practices, together with increasing predation pressure, are driving population declines, reducing the number of chicks produced to below the threshold needed to maintain stable populations. ​Despite being subject to decades of conservation effort, many of these species are still declining, suggesting that our efforts have been in vain. If the declines are to be halted and, ultimately, reversed then we need to identify and test the effectiveness of those conservation and policy initiatives designed to help these species. However, a just-published review of the effectiveness of these conservation actions, led by Dr Samantha Franks of the BTO in collaboration with the Dutch organisation Sovon, reveals that many of the policy and conservation management actions already in place in many European countries, and across the UK, are broadly effective, though to varying degrees. Some of the most effective actions are targeted site protection measures and higher-tier agri-environment schemes. Higher-tier schemes which combine a suite of targeted conservation actions aimed specifically at benefiting waders are particularly effective at improving wader numbers over time and increasing wader productivity. Underpinning these policies are specific types of management that were also reviewed, with good evidence that altering mowing levels, reducing agrochemical use, raising water levels and protecting eggs and chicks from predation, usually tend to work, by increasing wader productivity. However, despite this positive news, wader populations are still declining. This suggests that even though conservation actions often have a positive outcome, this may not be occurring frequently enough, or at a large enough scale, to compensate for declines occurring outside managed areas; furthermore, the magnitude of positive effects of these actions may be too small. In other words, we know what action is needed – we just need more of it.